We at the cm5 headquarters like to think that we are admirers of many creative, experimental musical idioms without being beholden to any of them. If there isn’t a punchlist of accomplishments to strive for and ultimately meet at some future point we can’t get ever cross a finish line or simply repeat the past. This ethos started with our proto-cm5 volunteers and concerts at WPRK-Rollins College in the mid-90’s. The current crew- some of which were around in the way back- now twenty years along still feel that is the ethos. Welcome to cm5 2015. This season starts with an exemplar of the hybrids you might know and expect from us. The Claudia Quintet are in their nineteenth calendar year following their genesis as a weekly residency trio at alt.coffee in Manhattan’s East Village. Before their expansion to a quintet (or quintet +1 as you’ll hear in Orlando) they had already set the tone as a genre-jumping crew by presenting chamber compositions with improvisation via accordion, double bass and drums. Drummer John Hollenbeck is the straw boss, composer and sole survivor of that original trio. The accordion and double bass are still there, long since augmented by clarinet/tenor saxophone and vibraphone. With a pianist guest for Claudia Quintet’s Orlando début, that makes for a non-idiomatic frontline of piano, vibraphone, reeds and accordion as the melodic instruments. New music- that’s what the scribes call it. We’re beholden to that ideal, if anything. There are seven CDs to choose from in the Claudia Quintet catalog. A unifying feeling auditioning their output is that they are an electrified jazz group, post-early fusion era. The reality is that Claudia Quintet is an acoustic ensemble channeling unexpected timbre choices among the instruments. Combined with modern recording techniques and influences from 1970’s and 1980’s Minimalist compositions, post-rock indie bands and, to our ten ears, early 1970’s Frank Zappa instrumental-centric bands, they are players retraining listeners to what the boundaries of jazz are. Their artist page at Cuneiform Records posits the idea of Claudia Quintet being regarded as post-jazz. 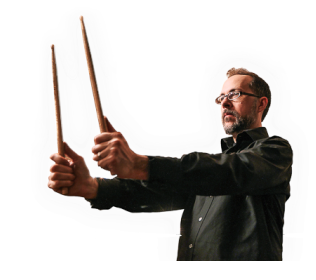 Along the way, ensemble leader and drummer John Hollenbeck has assembled a tall stack of accolades for his simultaneously creative-yet-accessible groups and compositions. DownBeat Magazine’s 2012 Critics’ Poll named Claudia Quintet “Rising Star Jazz Group” while the John Hollenbeck Large Ensemble attained the “Rising Star Big Band” prize in DownBeat’s 2011 and 2012 Critics’ Poll. The thrice Grammy-nominated Hollenbeck added a 2014 nomination for his arrangement of Jimmy Webb’s “The Moon’s a Harsh Mistress”, from the album “Songs I Like a Lot”, commissioned and recorded by the Frankfurt Radio Big Band. The limber ensemble touring our way includes Chris Speed on clarinet and alto saxophone, Matt Moran on vibraphone, Red Wierenga on accordion, Drew Gress on double bass, and leader Hollenbeck on drums. Their +1 guest for this three date Florida tour is Cuban émigré pianist Fabian Almazan. The performance of John Hollenbeck and the Claudia Quintet, presented by EMIT in collaboration with South Florida Composers Alliance, for Subtropics and the TimucuaArts Foundation, is supported by Presenter Consortium for Jazz, program of Chamber Music America funded through the generosity of the Doris Duke Charitable Foundation. Tags: Chamber Music USA, Chris Speed, Civic Minded 5, Claudia Quintet, cm5, Drew Gress, Fabian Almazan, Fleek, John Hollenbeck, Matt Moran, Red Wierenga, Timucua Arts Foundation, Timucua white house. Bookmark the permalink.